I’ve been a bit cross about this launch. The press day was so exciting and the buzz around this Spring’s launch was fantastic. The launch date banded around was 4th January 2018. I double checked and re checked and added it to my calendar. The launch was a bit slow and a bit soft. The impact of press day was lost. In the end I wondered if I should just spend my money in H&M or Next. I put items in my basket, took them out and replaced them. Some of them. I usually buy most of the collection and top up via Facebook groups if I change my mind about something. In the end T does not actually need anything except for a sweatshirt and socks, touch wood, he may suddenly grow 10ft this weekend. So done. 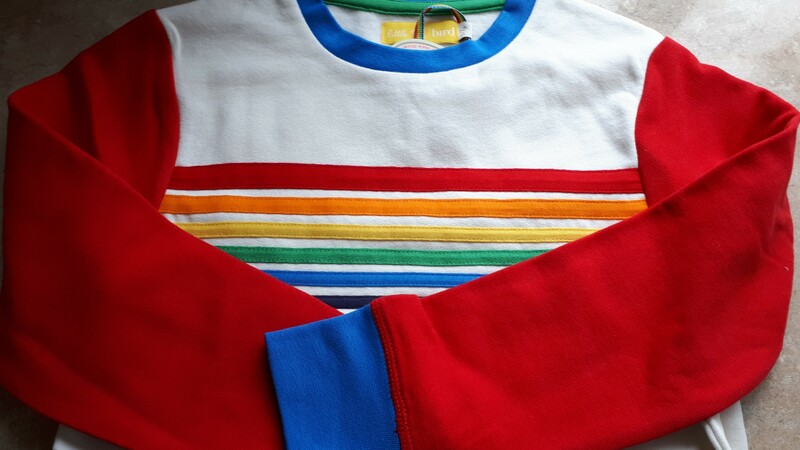 The sweatshirt has rainbow appliqued stripes to the front and the handle is supersoft. Thinner weight of sweatshirting fabric. 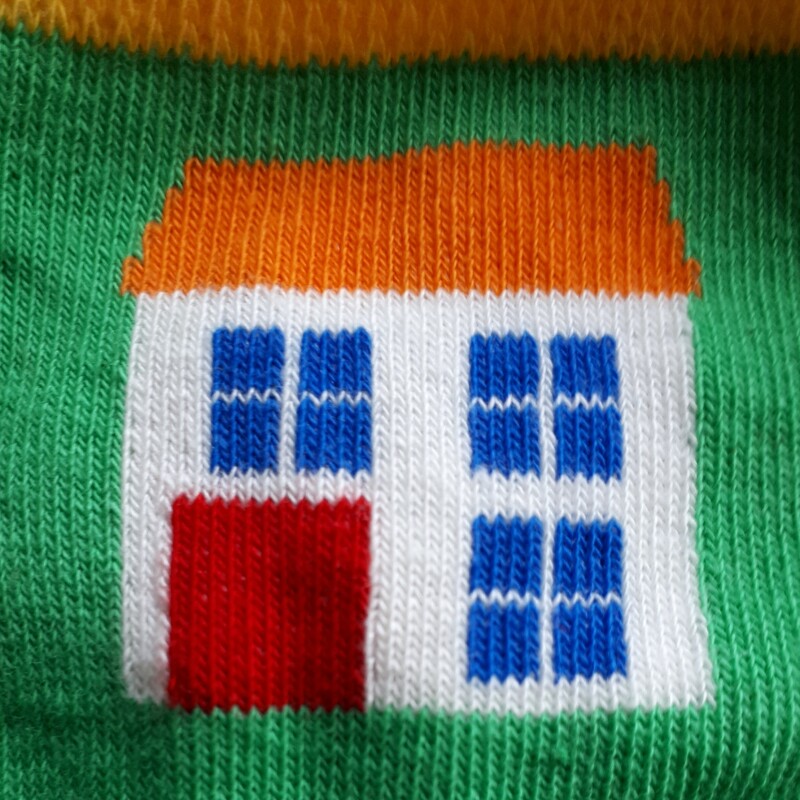 He put it on over his school uniform when he got home. That is dedication to a brand. 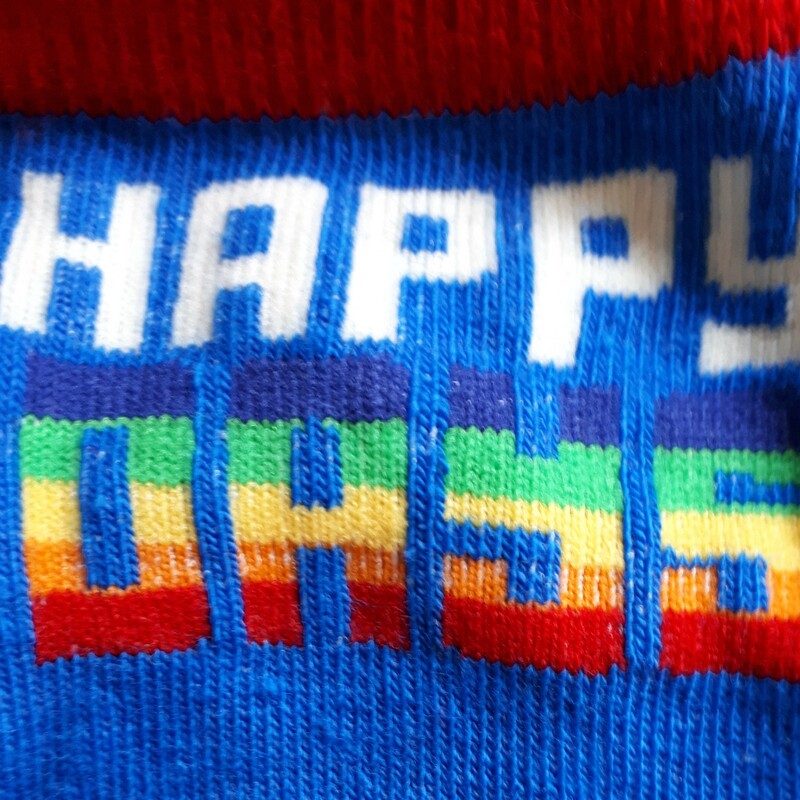 The socks have great motifs and colours. Big thumbs up here. I think if he actually needed more t-shirts I might have struggled as T scanned through and vetoed all of them. G on the other hand has it really good this season. 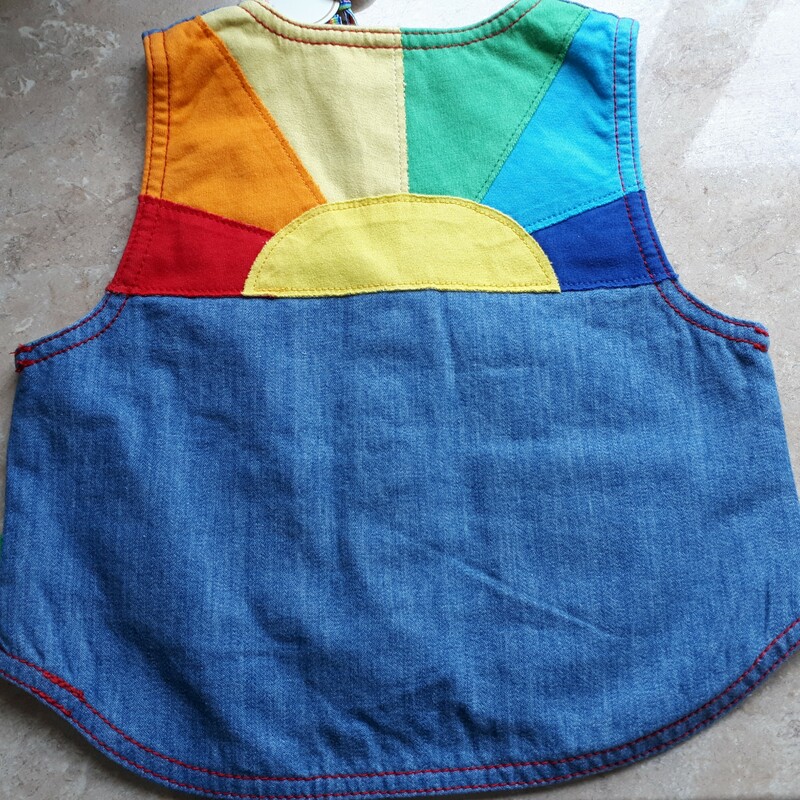 So much choice of lovely items for girls. Her birthday is in February so I know some family members have already bought her some items. I went with the denim belted dress: so many nice details. 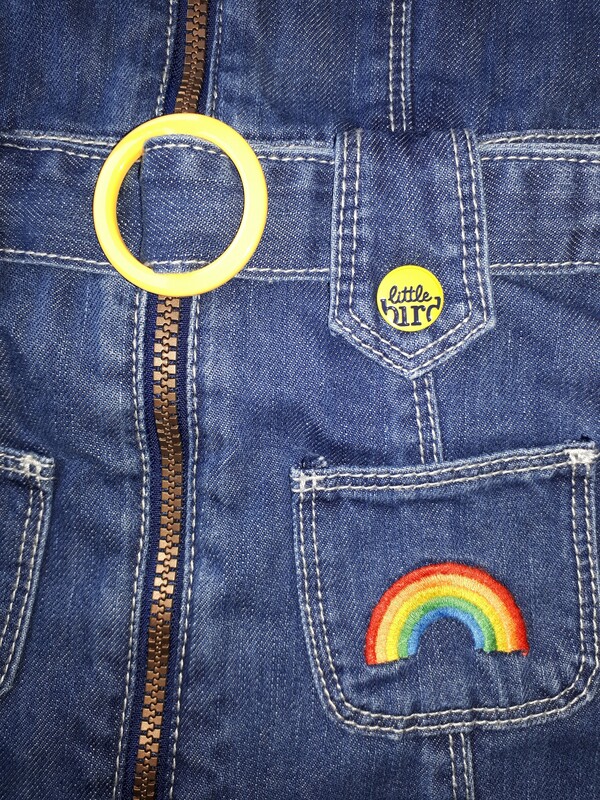 The different coloured enamel buttons and the yellow plastic ring on the belt, the chunky hardware to the zip, the rainbow embroidery on the pocket. 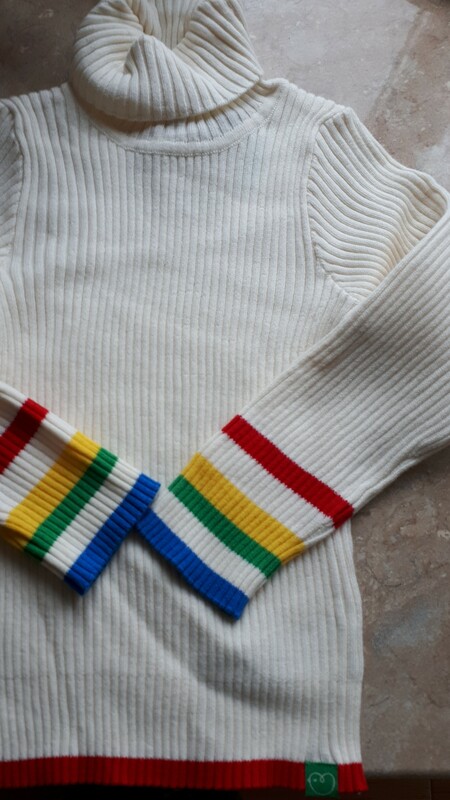 The ribbed top with rainbow striped cuffs. I worried that this would be quite thick but it’s a great layering piece for spring and this chilly weather. 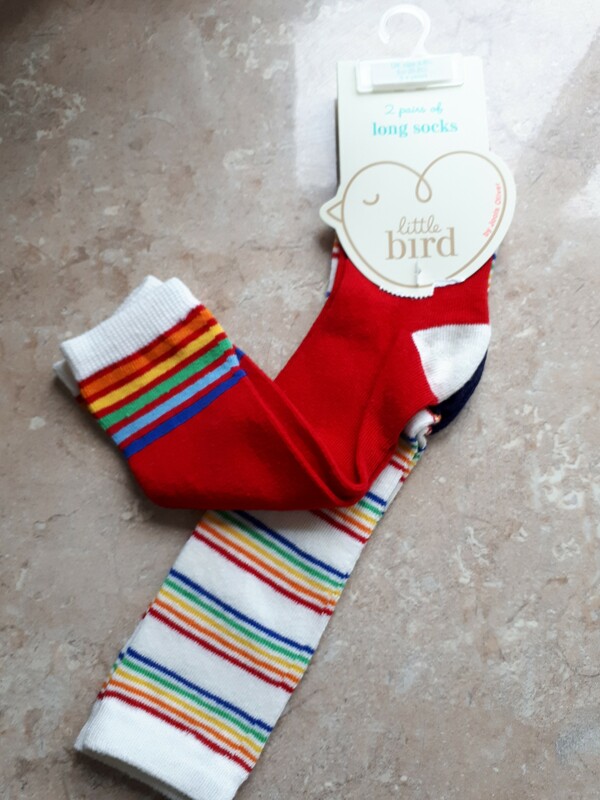 Knee high sock pack to accessorize with this outfit; they are rainbow striped so go with everything in life. 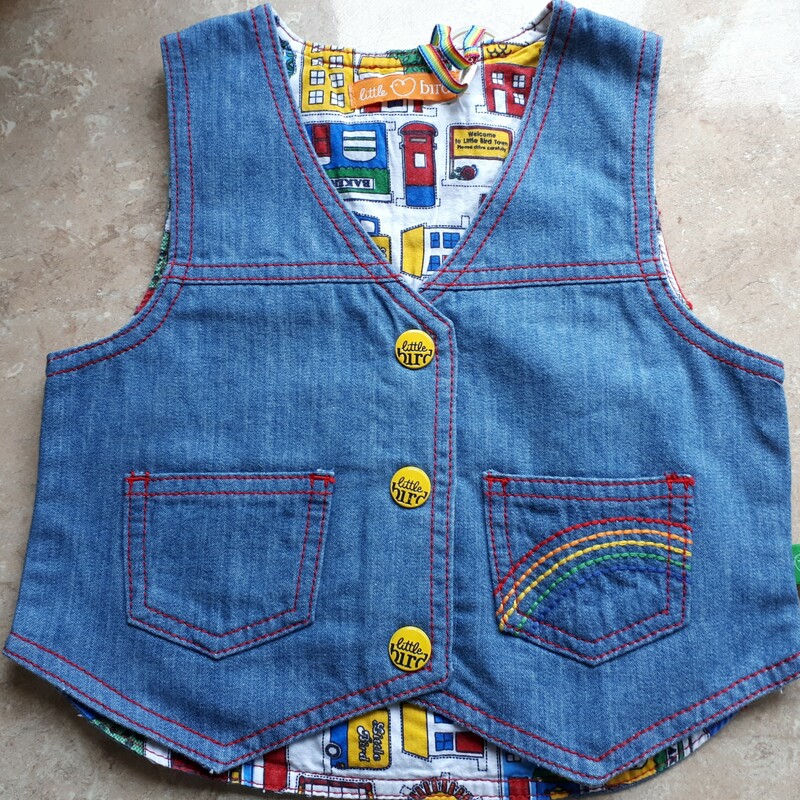 The other standout piece is the waistcoat. 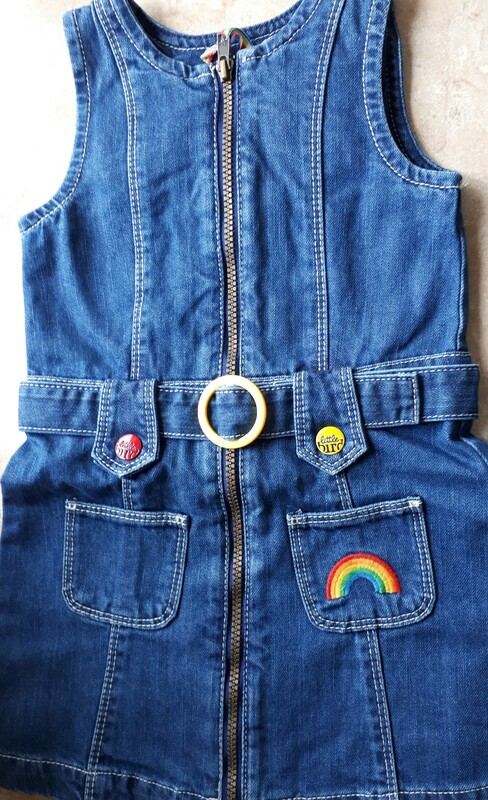 The back with Rainbow quilted detail. Lush and we have so much old season that will work with this. The disappointment of the season are the left and right labelled pumps. Production issues mean they are not going to launch this season. So I’m keeping my eyes peeled for AW18. Swap a factory and get re approving. Vietnam is great for factories that make this type of pump. I think I might get the puddlesuits as we often find ourselves in a muddy puddle. #shrinkme as the range is beautiful and I am definitely buying the lilac flower print dress when it pops up online. I have a pack of white knee high socks to dye French Lavender to match. Watch this space. Also Grace slept thru the unboxing. 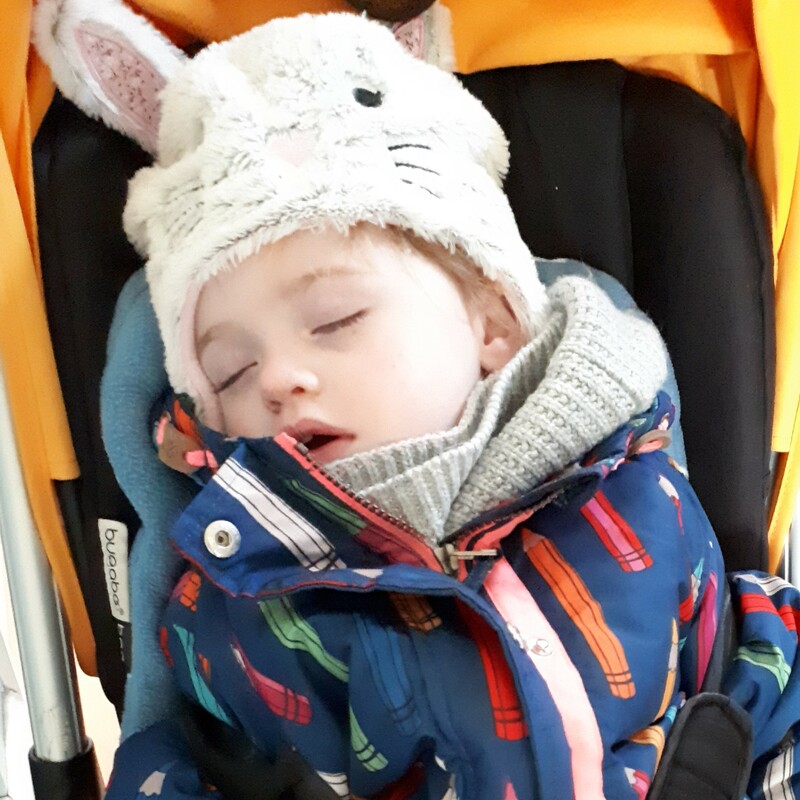 Here she is in her bug having a well earned rest.